There has been a recent surge of curiosity about pregnancy and chiropractic care. The first question that must be addressed is, “What is chiropractic?” Chiropractic is a natural and non-invasive form of health care based on the principle that the body has the innate and inherent ability to heal itself without the use of external interventions, such as drugs or surgery. An individual’s health is either directly or indirectly controlled by the nervous system. Any interference within the nervous system, due to trauma or biomechanical instability, impairs normal function and lowers resistance to disease. Chiropractic adjustments remove these interferences (called subluxations) caused by abnormalities in the musculoskeletal relationships of the vertebrae. The nervous system is then able to function properly and optimally, enabling the body to heal through its own natural recuperative powers. This fundamental approach to wellness mirrors a new and changing attitude toward health care in the US and around the world. Above all else, the most important benefit of regular chiropractic care throughout pregnancy is creating the most optimal environment for the baby to grow in the womb. Maintaining the mother’s pelvic alignment allows for the baby to have maximal room to grow. Imagine a round balloon as a woman’s pelvic shape (this is not really the shape of the human pelvis, but please imagine it for the purpose of visualization!). 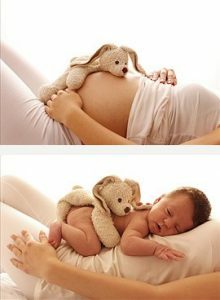 This round shape without any interference or pressure would be the most ideal shape and position for the baby to grow. Now, imagine pushing your fingers into an area of the balloon creating a dented or altered shape of the balloon. This would be similar to what a misalignment or subluxation of the pelvis is. You can visualize how a minimized space in the pelvis can constrict and restrict the baby’s environment to grow as happy and healthy as possible. Finally, chiropractic care throughout pregnancy may decrease the risk of possible breech pregnancy. Breech is a term used for the condition and position of the baby, but chiropractors never perform any medical techniques to turn breech babies. However, chiropractors, especially those who are trained in the Webster Technique, address pelvic misalignments of the mother. By correcting misalignments, more space is created for the baby to turn or flip head-down on its own. If your baby is in a position other than head down, the most direct method of correction is to have a medical doctor perform an External Cephalic Version (ECV). They will physically apply pressure to the abdomen under fetal monitoring and make sure they are safely turning the breech baby. Mothers who received this technique to turn their breech baby usually reports it as painful and cause bruising for days afterward. Worse yet, this technique is not highly successful. When the pelvis is out-of-balance it will make labor more difficult, more painful and last longer. This can also lead to a twisting of the uterus, known as intrauterine constraint, which can make it difficult for a baby to get into the best possible position for delivery. Making the pelvis more mobile and symmetrical will make labor faster and easier with less medical interventions, and will help ensure that the baby is in the optimum position for birth. Many people have no idea how important postpartum chiropractic care is. Once the baby arrives, mom’s attention is focused on caring for the newborn, often with the price of her own health. The hormone relaxin is produced during the pregnancy to relax and soften ligaments to make the birth of the baby possible. After delivery, relaxin keeps ligaments soft for up to 6 months which increases vulnerability to lower back and pelvic joint misalignments, causing pain and discomfort. In addition, baby-holding and breastfeeding puts tremendous stress on the neck, upper back, shoulders and arms. However, postpartum care for mom is often neglected and many new mothers suffer from headaches, neck and shoulder aches as well as wrist and forearm problems such as Carpal Tunnel Syndrome and deQuervain’s stenosing tenosynovitis (tendinitis of the thumb). 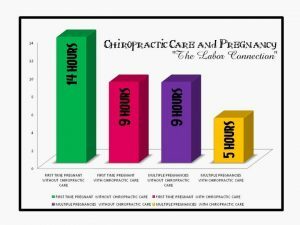 The good news about the postpartum time period is that new moms have a unique healing opportunity since relaxin is still softening the mother’s ligaments, correcting musculoskeletal problems with postpartum chiropractic care is easily accomplished due to the body’s increased pliability. This postnatal time is the most critical period to heal. With relaxin still coursing through the body, moms have the advantage to heal at 99%, even from the old injuries that were experienced before the pregnancy, such as injuries sustained from a previous car accident. Because of this, postpartum chiropractic care can be an excellent opportunity to attend to long-standing issues that have built-up scar tissue. 1 Edwards, John, & Alcantara, Joel. “Resolution of Peripheral Neuropathy, Lower Extremity Edema, and Low Back Pain in a Pregnant Female Undergoing Chiropractic Care.” Journal of Pediatric, Maternal, & Family Health. 2015.3 (2015): 86-91. Web. 23 Dec. 2016. 3 Cohn, Ari, DC. “Chiropractic and the Neuroimmune Connection.” Journal of Vertebral Subluxation Research (2008): 1-5. McCoy Press. Web. 23 Dec. 2016. 4 Ohm, Jeanne, DC. “About The Webster Protocol.” About The Webster Protocol | Webster Technique. International Chiropractic Pediatrics Association, n.d. Web. 23 Dec. 2016.